Are you seeking to explore a career in sales or in mechanical work? Well, there is no better time to get become a part of the automotive industry with a new position at Mike Shaw Kia! We are the premiere Kia dealership in Corpus Christi, TX near Robstown, Alice, Kingsville, and Mathis, and we offer one of the best work environments for anyone interested in the automotive industry. The automotive industry has provided many aspiring mechanics, salesmen, and saleswomen the opportunity to explore their passion. Are you ready to explore yours? We are looking for dedicated individuals, who are ready to work, exhibit excellent communication, have knowledge of the automotive industry, and have a positive attitude. If you have already worked in the automotive industry before, then we want to hear from you. We help those who have sales and/or mechanical skills to perfect their art and become experts in their field. Our team of professionals is dedicated to making our customers feel at home and to provide top-quality service to each and every person who walks through our doors. Join Our Team At Mike Shaw Kia Today! If this fits you and you are interested in joining our team, then fill out the form below and let us hear from you! Before you come, take a look at our location to see where you might be working, view our selection of new Kias and pre-owned vehicles to see what vehicles you would be working with, and take a look at our community involvement to see how we give back to Corpus Christi. 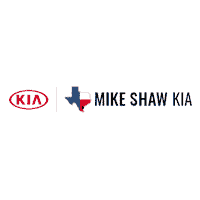 Also, be sure to learn more Mike Shaw Kia on our about us page and see what our dealership stands for. We cannot wait to get to know you!